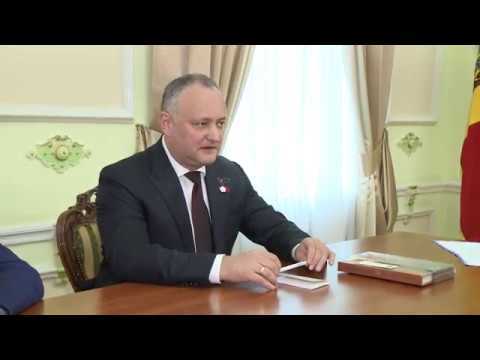 President of the Republic of Moldova Igor Dodon held a working meeting with the Extraordinary and Plenipotentiary Ambassador of the Russian Federation to Moldova Farit Mukhametshin. The sides exchanged views on the situation in the country's domestic and foreign policy. The state of affairs in the settlement of the Transnistrian issue was also discussed.